Kefalonia is the largest of the Ionian Islands, but among the least commercialised. The coastline offers mile after mile of sandy beaches and unspoilt rural areas that are waiting to be explored. 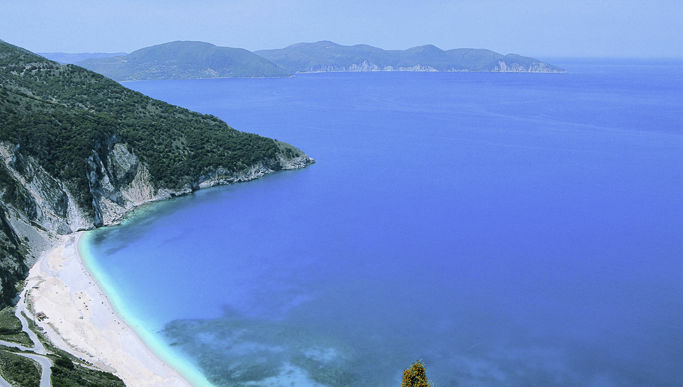 The weather on the island of Kefalonia consists of rainy winters and dry, hot summers. With higher winter rainfall, Kefalonia boasts verdant plains, forests and hillsides dotted with grazing mountain goats. Great food is certainly a feature of Kefalonia. Feta cheeses from goats and ewes milk, olives and fresh fish from the ports at Sami, Poros, Argostoli and Fiskardo are among the islands’ specialities served at excellent tavernas across Kefalonia. Stay in one of our hillside retreats or beach side villas on this beautiful island .